Mitsubishi Motors Malaysia (MMM), the official distributor of Mitsubishi Motors vehicles in Malaysia, has officially launched the new Triton VGT GS and GL variant. 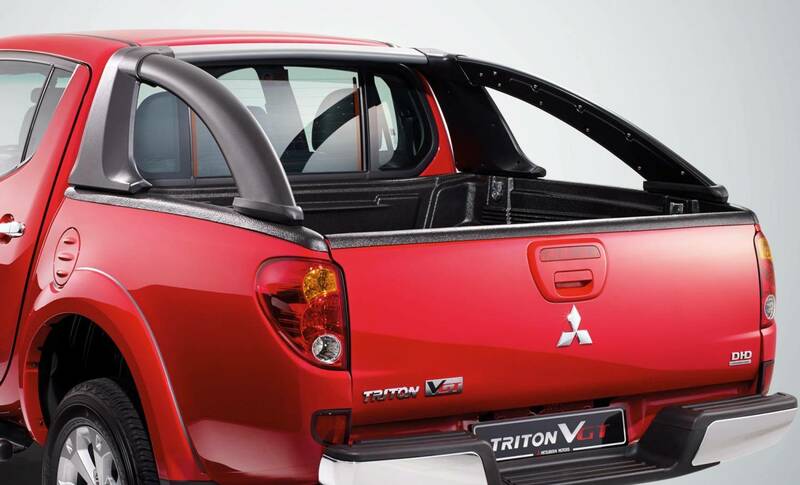 The stylish looks of the Triton VGT GS has been further enhanced with a power sunroof, power sliding rear vent window and sporty short cargo bed to improve manoeuvrability and parking in tight spaces. The Triton VGT GS also comes with a sporty 17” alloy wheels and front bumper extender. 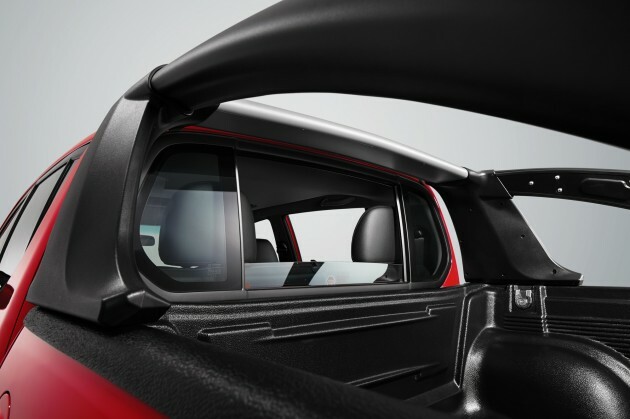 From the interior, the Triton VGT GS now comes with leather seats and security tint film by Llumar®. 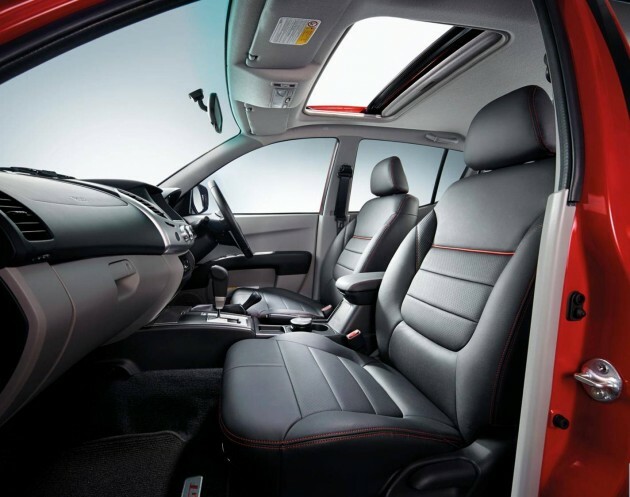 As for standard features, the Triton VGT GS and GL are equipped with Automatic Climate Control and RV Meter. In addition, the Triton VGT GS also comes with 1-Din Audio Player with Bluetooth. Customers can now own a fully imported Triton VGT at an affordable price with the GL variant priced at RM 99,617.60 on-the-road without insurance and is available in Cool Silver, White Solid and Black Mica. The GS variant is priced at RM 106,835.60 on-the-road without insurance and is available in Red Solid, White Solid and Black Mica. 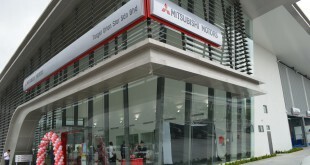 Owners get to enjoy a 3-year/100,000 km warranty as well as Mitsubishi’s 2-Years free maintenance package. Built to take on the harshest conditions, both the Triton VGT GS and GL come with a reliable 2.5-litre powertrain diesel engine which produces a maximum output of 178 PS at 4,000 rpm, while maximum torque at 350 Nm. The Variable Geometry Turbo (VGT) delivers uncompromising power while maintaining fuel efficiency by achieving an optimal turbo aspect ratio at any given speed. It harnesses the power of the exhaust emission, ensuring a constant delivery of additional fresh air to the engine for optimum performance. The Triton offers the best in class turning radius of 5.9 metres. It is also fitted with a Hybrid Limited Slip Differential (LSD) that gives excellent off-road response. Hybrid LSD combines the torque-sensing benefit of helical gears and the speed-sensing of a viscous coupling unit, all designed to work alongside ABS and EBD, which are standard. Power is channelled to the wheels via 5-speed automatic transmission with Sports Mode. 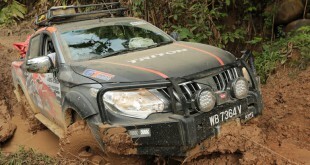 Mitsubishi’s Easy Select 4WD system which allows the driver to ‘shift on the fly’ from 2WD to 4WD at speeds of up to 100km/h. 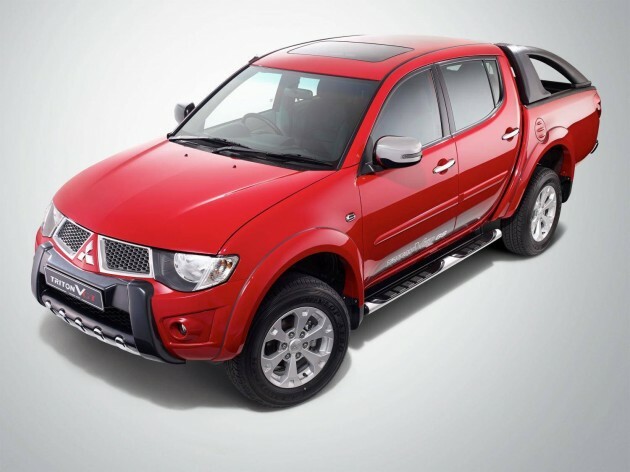 The Triton, widely acknowledged as the most awarded and one of the best handling pick-up trucks in the market, has been a great success, creating a new trend with powerful engine, ride comfort and enhanced safety features. The Triton full range now consists of the Triton Heavy Duty (Commercial use only) Triton Single Cab, Triton VGT 2.5-litre 4×4 Automatic, 2.5-litre 4×4 Automatic and Manual, Triton LITE Turbo 2.5-litre 4×2 Manual.